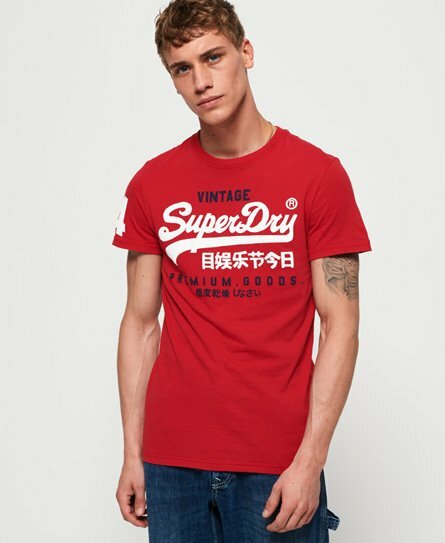 Superdry men's Premium Goods duo lite t-shirt. This lightweight t-shirt is luxuriously soft, making it a must have in your t-shirt collection. Featuring a crew neck, short sleeves and large logo graphic on the chest, this t-shirt has been completed with a number graphic on one sleeve.